The Andhra Pradesh government on Saturday said it aims to achieve 15 per cent growth during 2016- 17. The target was set in the meeting Chief Minister N Chandrababu Naidu had with the heads and secretaries of all departments here at the Secretariat today. State ministers, members from 150 government departments, 33 secretaries, 20 ministries and local administrative agencies were present in the meeting. Naidu suggested setting up performance indicators on the lines of the Malaysian Government for monitoring performance of departments and sectors in the state government. According to this, sectors will be evaluated based on red, yellow and green bands. Recalling the disaster management efforts during recent incessant rains in Nellore, Chittoor and Kadapa districts, the Chief Minister stressed on increasing storage capacity of water tanks, it said. Underlining the need to revamp the delivery system and staffing for future, Naidu pointed out the dire need for integration among all the departments at state level, district, mandal as well as village level. “In spite of allotting huge funds for welfare programs, delivery mechanism is weak. We need to speed this up and improve performance by ensuring delivery. Our approach has to be need-based and result-oriented,” he was quoted as saying in the release. 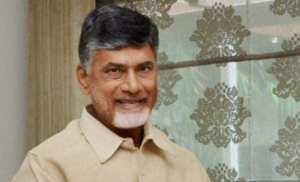 Chandrababu also said that he is gearing up to re-launch the Janma Bhoomi programme starting January next year. He had successfully conducted the programme earlier during his time as the Chief Minister in the united Andhra Pradesh.